The Transformers have seen some changes over the years. You might even say transformations (sorry). The once classic cartoon in which Decepticons battled Autobots on both earth and Cyberton has now become the most eardrum-bursting film franchise currently in existence. It’s also spawned several video games over the years, which have acted as both fan-driven homage (High Moon’s Cybertron series) and heresy (everything else). Transformers Universe is Runescape developer Jagex’s attempt to use Hasbro ‘s toy franchise as the basis for a MOBA. Or as they attempted to tag it, a MOTA (Massive Online Tactical Action, although OBVIOUSLY it should be Massively Online Transformers Arena). If you’re making a MOBA, you have to be a fan of the universe you’re presenting players with or the whole thing will just flop, but the footage and previews currently floating around the Internet are throwing up more questions than they’re answering. We know that Transformers Universe is a class-based (or chassis-based, as Jagex would have it) fragfest where victory hinges on taking out the opposing crew’s healer early on and then smashing up the rest of their soldiers piecemeal. You know, as you would in most other MOBAs. 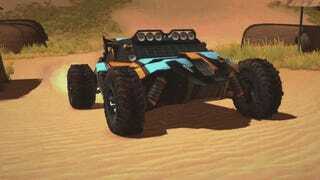 The main difference seems to be that in Transformers Universe you can turn your avatar into a vehicle. But how close to the Tranformers lore is it going to adhere? Will it follow the progression of the Transformer’s war on earth costing the lives of Optimus Prime and (sniff) Ironhide? Will Unicron make an appearance? The demo showed off teams of players controlling Transformers that turned exclusively into cars. Anyone who ever watched the original series will know that, while the Decepticons boasted ground vehicles in their ranks – The Stunticons, the Constructicons – most of the iconic originals turned into jets. So will players be able to create Transformers that turn into fighter planes? Will they be able to turn into a gun or a camera? Most important of all – since the coolest character in the entire show was Soundwave (FACT!) – will they be able to choose a tape-deck chassis and if they do, will they then get their own little set of tape minions (like Rumble or Ravage)? Jagex CEO Mark Gerhard was cagey when asked – even though he acknowledged these were some of the most important questions he would be asked all afternoon. Apparently there were “arguments around work” and “strong discussions” about minions, because they’re such a part of the IP’s lore. He went on to say revealing any more would head into spoiler territory and refused to be drawn further. However, he did reveal that some Transformers, such as Optimus Prime and Bumblebee, would be playable characters. As would Metroplex. Yes, in this game, at some stage, you will have the chance to play as a giant robot that transforms into a CITY. This is all part of a 15-year plan Jagex has for Transformers Universe. “There will be flying,” said Gerhard. “There will be Dinobots.” Will there be Combinicons? They’re in the pipeline too. The hardest aspect to get right, though, was the game’s balancing. As fans of the show will remember, the Decepticons always got all of the coolest weapons and additions to their ranks. This was perhaps best demonstrated in the series that followed the Transformers movie in the 1980s; while the Decepticons were adding mechanised killers to their ranks such as Scourge, Cyclonus and Galvatron, the Autobots, for their sins, got Wheelie, a highly punchable little scamp who insisted on speaking in rhyming couplets and was armed with a slingshot. So – would this part of the lore carry over into the game? “I think you’re going to find it’s a bit more fun being bad,” was the answer. This article comes courtesy of Kotaku UK - launching soon!